Quilt measures 27" x 36"
This quilt can either be made as a wall hanging or a cot/floor mat quilt. The choice of fabrics completely changes the look of this quilt, so pick your colours and start having some fun. 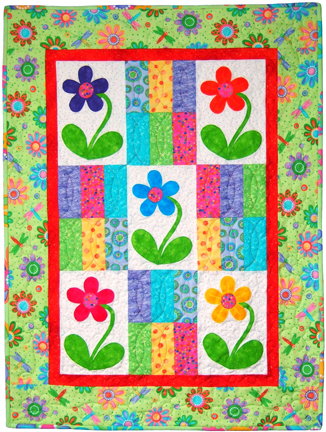 Try adding some decorative machine stitching to the flowers and leaves.